Beauty and the Beast is one of the most well known fairy tales ever–and, let’s be real, the Disney animated movie is pretty much perfection! My fairy tale retelling of Beauty and the Beast is Book #1 in the Timeless Fairy Tales series, and my upcoming book, Curse of Magic, will give you Angelique’s side of the story! So to celebrate the upcoming Curse of Magic release (less than a week away!!) let’s take a look at some of the Beauty and the Beast retellings I’ve read, AND more books the Facebook Champions recommended. 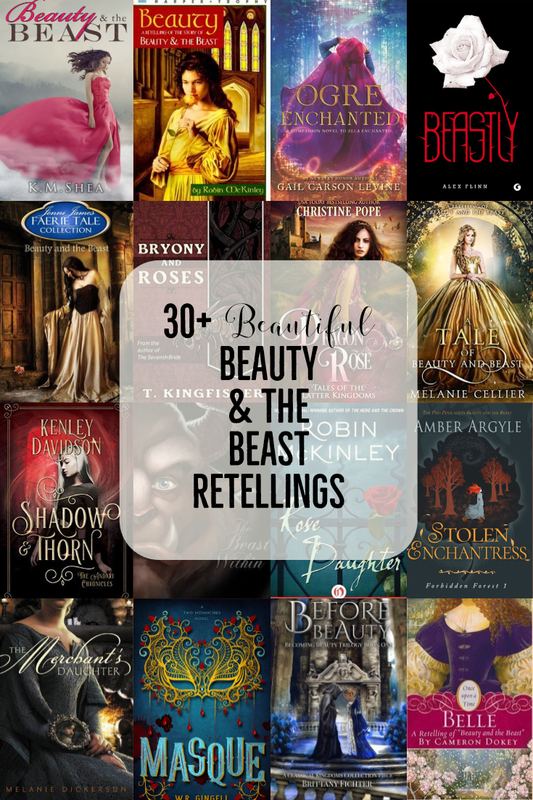 Some of my top favorite Beauty and the Beast retellings are…. Here’s a “couple” more my Champions recommended on Facebook, but while I have read some, I haven’t read them all. (Or even most of them–and now I have massive fairy tale To Be Read stack, haha!) Brace yourself because they had a LOT of suggestions! Note that I didn’t include any books that were labeled as definitely not clean so if you’re looking for even more suggestions you can check out the comments on the Facebook post. Whew, and that’s all that we have so far! Have you tried these? Do you know of more? If you have a suggestion that isn’t on the list (and is clean) then give it a shout out in the comments and either I or one of my lovely assistants will add it to the list. Now, Champions, go forth and enjoy good books! I’ve read quite a few, and I will be checking out some from your list that I was unaware of. Beast Charming by Jenniffer Wardell is one of my favorites. It’s full of witty, sarcastic dialog and her world building is excellent. Which fairy tale has the most spin-offs? I’d say Cinderella with The Beauty and the Beast second. This is a pretty good list, but don’t forget about Beauty and the Werewolf by Mercedes Lackey! It’s pretty fun! I think Scarlet might be Little Red Riding Hood? Ah, B&B retellings are wonderful! I especially love Melanie Cellier, Melanie Dickerson, and Kaylin Lee fairytales! I’ve heard great things about Kyle Robert Shultz, Melanie Karsak, and Jody Hedlund too. Also, you could add Hunted by Meagan Spooner and Beauty and the Werewolf by Mercedes Lackey! And Lea Doue’s next fairytale is The Moonflower Dance, which comes out this year. Jody Hedlund is on of my favorite authors. I read some of the stories you mentioned and could recommend them myself. There is a beauty and the beast retelling by Aya ling too. It’s called “The Beast and the Beauty”. Though I am not really sure if it is clean. I haven’t read it yet. I’ve read an ARC of it! It’s clean.